The Sandwich Generation, financially speaking, is in the worst shape. They have to take care of their own family—spouse, and children—while also caring for aging parents. If you belong to the Sandwich Generation, chances are you won’t get a lot of fiscal breathing space. According to a research, 47 percent of adults—usually those in their 40s and 50s, belong to the Sandwich Generation. And this group is only getting larger. One of the reasons for this is the largely aging population. This means that people live longer now than in the previous decades. On the other hand, a lot of the millennials are moving back in with their parents. Decades ago, once a child turns 18, it is understood that he should leave home and be on his own. Economically, though, it’s getting quite hard to be independent. This is why the Sandwich Generation has become a phenomenon. They get stuck between taking care of their children and their parents. But there are still ways to scrimp and even save some money. It is up to you to make an effort to be more practical. 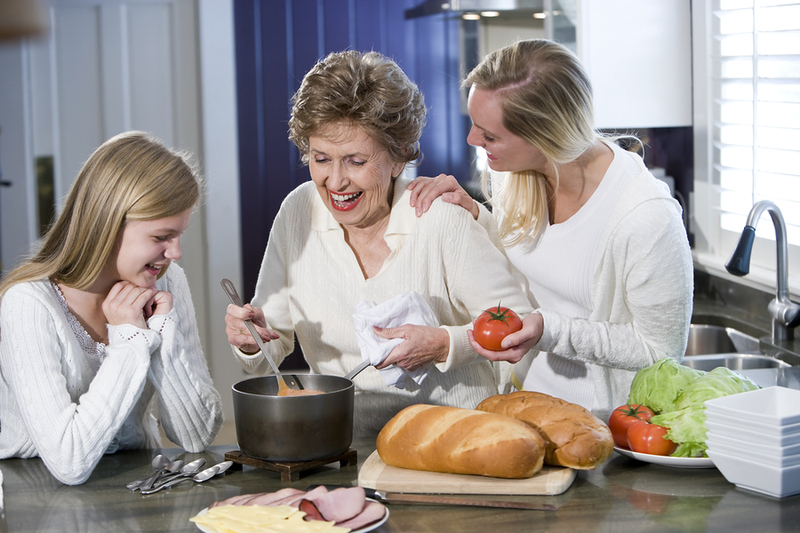 Here are some tips on how to save money while caring for aging parents. It is easier to manage finances when everything is on paper. While you may have to take care of your parents for the most part—physical and financial—check if they have their own income. Ask your parents to be open about their pension. Just explain to them that you are not trying to rob them, you just want to keep tabs on the money coming in versus the money that will be going out. Your old parents may need assisted-living care and that will involve money. It is easier to budget if you have all the financial details in check. In the case of your children, if they are already adults, give them responsibilities. They cannot be freeloaders anymore. If you think asking them to pay rent would seem unbecoming of a parent, at least ask them to pay the electricity or water bill or Internet expense, which they would be hugging anyway. There should also be understanding on whose money is being spent on what. It is important that things are recorded and on paper just to prevent any money-related issues in the future. Now that everything is on paper, try to find ways to cut some expenses. This way, there will be something left to be placed in the savings account. If you are in-charge of taking care of your parents but they are living in a separate home, then take care of all budgetary plans—theirs and yours. Having a budget for your parents will make it easier for them to handle day-to-day expenses. And since Sandwich Generation parents are older, they are expected to forget some tasks. So if you can, enroll their bank accounts in automatic payment systems so bills are paid on time. Late payment penalties are things you don’t need in your life. If you have siblings, get them involved in taking care of your parent(s). This is not going to be a nice talk among siblings and, taking care of parents should not be a financial discussion. But you have to be practical, you have your own family to take care of also. While you are taking care of your children and your parents, you should also remember to take care of yourself. Part of taking care of yourself is to make sure you prepare for the future. So even if you have a lot of expenses, set aside some money for your retirement fund. If you are having a hard time as a member of the Sandwich Generation, then perhaps you can do your children a favor by making sure your future has been taken care of. These are two different things but both are handled by the government. Medicare is for long-term care for the elderly while Medicaid is a health assistance program for the poor. The former covers seniors 65 years old and older. The latter, though, has strict requirements since it is designed to help the poor. Some employers provide benefits that will help employees cover some expenses of aging parents. A number of companies offer elder care referrals to employees and if it is sanctioned by your employer, chances are it’s quite a reputable care service. There are also companies that offer either paid—which is the better option of course—or unpaid leave credits so that an employee can take care of an aging or sick parent. If your parents are having a hard time doing chores by themselves, you might need assisted-living care. But that is quite expensive—whether you hire a caregiver or you enlist your parent(s) in a facility. So encourage everyone in the family to help your parents, especially if you have adult children living in the house with you. Your parents are family, so a family member should not begrudge having to assist another family member. While it is a chore, one should consider that one day, they will be in such situation. You can save so much money if you round up all family members to help your aging parents. The Sandwich Generation certainly don’t have it easy. In many cases, according to a report, taking care of aging—especially ailing—parents is more difficult than taking care of adult children. This makes sense since the children can take care of themselves except financially. So if you are in this situation, focus on how to handle finances and physical demands of having to take care of aging parents. It’s all about fiscal management.